As I prep my teaching set-up post, I wanted to give you some ideas of some of my favorite bullet journal hacks. I find these techniques to help make bullet journaling easier, more seamless, and all around useful. Check them out! Threading. Started by Ryder and elaborated on by Kim, threading helps you keep your lists connected even if there are other lists in between them. It means you denote page numbers for where you’re referencing that list, the last time you referenced it, or the next time it shows up. Tasks Inside Notes: This is one of my personal favorites, and I was inspired by the folks at Levenger. I talked about this in my Bullet Journal for Work Post, but drawing that line down the side helps corral the tasks into one place for easy reference later on instead of needing to skim through the whole thing. Monthly Tasks & Dates: Dee (@decadethirty) is one of the most innovative bullet journalists around. 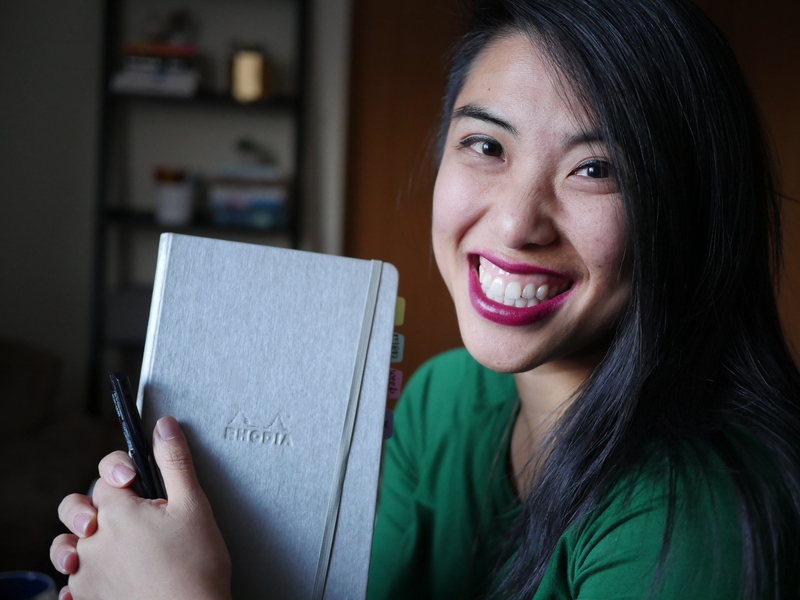 She has been bullet journaling before it was even a thing, and came up with a lot of awesome ideas that are simple and powerful. This one is for your monthly task lists (and could work for your weeklies as well) – you create the check boxes and then add the date you plan on doing it or have to complete it by alongside it. Project Planning: SO many awesome ideas around project planning… because my life is run by projects, I love these visual representations of it. For example, Steph uses a monthly calendar ala Ryder, but then adds these project flow pieces to show how things overlap. I tend to do the charts horizontally but the vertical is so nice. So this is a short and simple post – but hopefully jogs some inspiration for you to create your own little hacks. If there’s a snag in your system, how do you tweak it to make it work better? The to do list hack is perfect for me. Thank you. Glad it can be helpful! I love the tasks list inside notes!! I’ve been saving a blank page at the front to gather and write all the tasks, but it’s a pain to flip back and forth, so creating the column inside the notes is brilliant!! Yay! Glad it can be helpful!